It’s true! 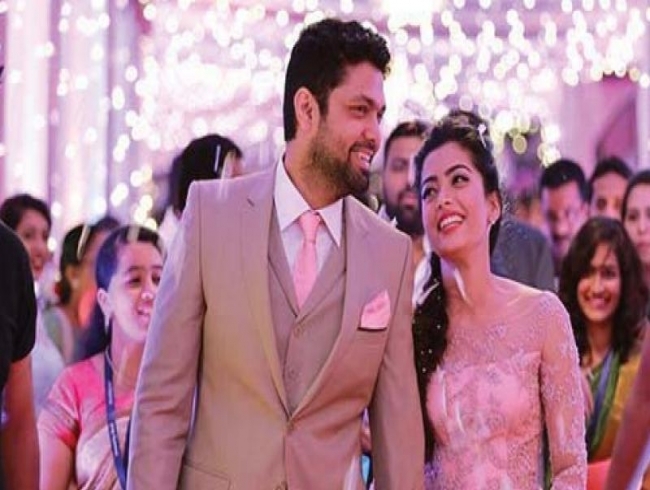 Actress Rashmika Mandanna, who is currently basking in the success of her superhit Telugu film Geetha Govindam, has broken off her engagement with Kannada actor Rakshit Shetty. The two got engaged last year. But “compatibility issues” seem to have cropped up between their families since then. A source close to the actress confirms the break-up rumours and says that though Rashmika isn’t happy with the way things have turned out, she’s dealing with the situation rather maturely. The fact that Rashmika was getting some amazing projects in Telugu and Kannada, but chose to concentrate more on the Telugu industry seems to have ruffled many feathers. This is the reason she has chosen her career over her personal life. The actress wants to make her mark in Tollywood and is not ready to settle down so soon in her career. “Rashmika made the decision after consulting with her parents, family elders and friends. It was a tough decision to make, but she is showing a lot of character in overcoming this personal and emotional setback. She has been receiving some exciting offers in Telugu and Kannada, and she wants to cement her place in both the industries,” the source says. Rashmika will soon start shooting for her next film, Comrade. The actress will be seen in the role of a cricketer in the Bharat Kamma directorial. Rakshit Shetty, has since, deactivated his twitter and Insta accounts and speculation has also emerged that there were other reasons for this break-up. Sriram Raghavan's 'Andhadhun' crosses Rs 200 cr mark at China box office! Alia Bhatt watched 'Zindagi Gulzar Hai', 'Umrao Jaan' to prepare for 'Kalank' role!